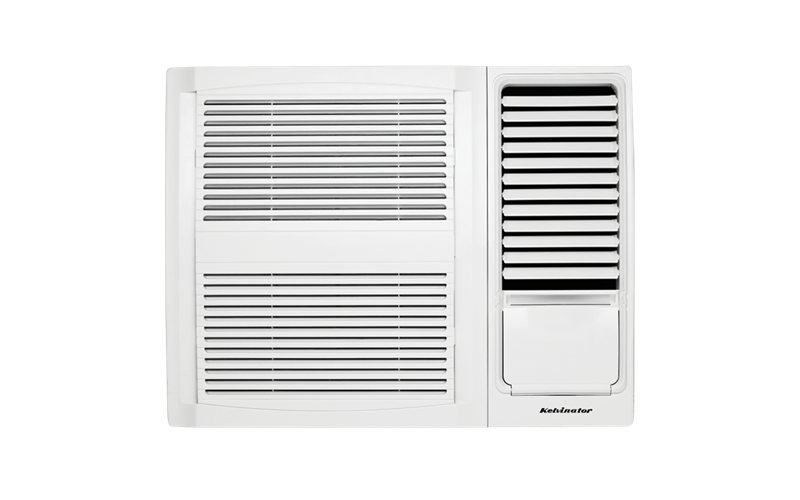 Window Wall Cooling Only Air Conditioner 1.6kW is rated 4.8 out of 5 by 72. The Kelvinator Window Wall Cooling Only Air Conditioner is perfect for cooling smaller family homes and space-restricted areas. It provides fresh air, additional ventilation to your room and can also assist in humidity control. Learn more here. Rated 5 out of 5 by Mandamum from Super quiet & excellent cooling. I bought this for my daughters bedroom and it is great. It is super quiet, has little to no vibration & cools her room down really quickly. I love the flip down panel that hides the controls from little fingers. I will be buying another one for my sons room. Rated 5 out of 5 by Billesq from Freezing awesome! This little unit is amazing; smallest, cheapest unit I could find in the limited pool of noosa area. Hands down better than the mobile ones, easily installed plug and play. Why swelter in the heat, get one of these babies, great for small/ Med rooms. Rated 3 out of 5 by steve25 from ideal for a small space. I've been using my AC in a small workshop for several weeks now and I'm happy with it's ability to keep me comfortable as I work. The noise produced is very low for a unit of this design and the energy consumption is quite satisfactory. Rated 5 out of 5 by alders19 from Great unit, would recommend to anyone. Only had it installed now for a month but so glad I did. It is very easy to use and extremely quiet even running on full speed. Rated 4 out of 5 by greenie140 from great appearance Only had it fitted a week ago but am happy with it,ideal for bedroom, very quiet running. Rated 5 out of 5 by Danj from Good little unit Purchased this to cool a 12m2 room. To be honest I think we could have gone the size up but it definitely does its job and does it quietly which is a huge plus.